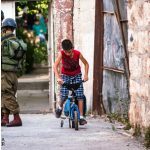 This week we got the chance to speak with Yousef Natsha, who is a Palestinian filmmaker and activist about his new documentary called Hebron. 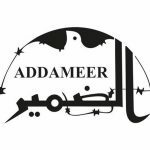 In this interview we talk about how he got into making this documentary, some historical and present day context for this series of struggles in Hebron City, and some suggestions for action. First, in local news: Next Sunday, April 1st at 5pm is the monthly political prisoner letter writing event by Blue Ridge ABC at Firestorm Books & Coffee, 610 Haywood Rd in West Asheville. All the necessary materials will be provided as well as a curated list of political prisoners in the U.S. with upcoming birthdays. ANNOUNCING, the second annual Another Carolina Anarchist Bookfair aka ACAB 2018. Hosted in Asheville, NC over the weekend of June 22-24. Last year, hundreds of people from the southeast and beyond participated in workshops, talks, panels, community building, skill sharing, and celebrating resistance. Dozens of presses, publishers, radical and anarchist groups displayed their books, zines, artwork, and promoted their projects. This year will be even better, as we continue to build sites of resistance, structures of counter-power, and networks of solidarity across the region and the world. The vendor/tabling portion will take place both Saturday 23 & Sunday 24. You can table one or both days. The deadline for signing up is April 15 for workshops and vendors. For more information and ways to get involved, check our website at, ACAB2018.noblogs.org or Follow us on Instagram @ACAB.2018 for instant updates! Rojava is the democratically administered region in what would be the West of Kurdistan, or northern Syria, where there has been a social revolution undertaken by multi-ethnic and religious councils, foregrounding struggles against patriarchy, with a vision of direct democracy, feminism, autonomy, ecology and anti-capitalism. The U.S. has been fighting alongside of the mostly Kurdish forces in the YPG & all-women YPJ militia to destroy strongholds of Daesh (aka ISIS). The YPG & YPJ have proven some of the most effective units to fight Daesh as they’re fighting for their own communities and values as opposed to professional soldiers brought in from elsewhere. The recent incursions by Turkey and the FSA over the Syrian border are in a way the fault of the U.S. for claiming it was going to use the YPG & YPJ as a border security force, giving the Turkish government of egomaniac fundamentalist Erdogan the symbolic signal that the Rojavan forces could be attacked. Turkey has aided, armed and abetted Daesh by allowing them to cross the border between Turkey and Syria and shares the common enemy of Rojava as Rojava views the Kurdish political prisoner in Turkey, Abdullah Ocalan aka Apo, as their ideological founder. For Daesh, Rojava is an enemy because it’s hetero-cultural, empowers women and struggles against centralized state authority, as opposed to the Daesh and Turkish fascist forces. So, in recent weeks, Afrin has been beseiged and invaded. The city has finally been taken by forces of what is the second largest army in NATO, Turkey being just behind the U.S. Hundreds if not thousands have died or fled the surrounding areas away from the bombs and mercenaries of the Turkish military and the FSA. Videos have floated around the internet of Turkish soldiers in Afrin giving the salute of the Turkish fascist “Grey Wolves” grouping and FSA and Turkish soldiers looting & pillaging the city. The struggle in Rojava has inspired people in The West to join International Brigades, a reflection of the international struggle against Fascism during the Spanish Civil War. With the following announcements we don’t mean to undermine the self-defense struggles of people from Rojava who have been hurt or killed defending their homes and spreading their revolution, only to fulfill these listener requests and also tip our hats to brave Westerners whose solidaristic hearts brought them to fight in Rojava against the forces of reaction and for the new world in their hearts. Şehîd namirin! Bi hev re heta hetayî – anarşîst û apocî! If your heart is free the ground you stand on is liberated territory. Defend it! The Final Straw is a ALSO a part of the International A-Radio Network, which produces a monthly podcast called “B(A)DNews: Angry Voices From Around The World”. The newest episode is out and free to download and we have a link on our website pointing to it. Check out anarchist perspectives from the U.S., Greece, Russia, the U.K. If you know of anti-authoritarian and anti-capitalist radios or podcasts that’d be a good fit for our international and anti-nationalist network, point them to a-radio-network.org and have them contact us. We’re always looking for more angry voices from around the world. This month we started a patreon subscription and donation page for the Final Straw podcast so that listeners could throw us some money for equipment, merchandise, travel and operational costs. In past years we’ve paid out of pocket (and with kind donations from other members of the A-Radio Network) to travel to the A-Radio conference and conduct interviews along the way with interesting projects. We’ve paid out of pocket to attend the North American Anarchist Black Cross conference and recorded the public proceedings there and connected with former political prisoners and organizers in IWOC and ABC chapters. We’ve recorded proceedings from the Montreal Anarchist Bookfair and other public, out of town events traveling on our own funds. Well, we want to bring y’all more audio you can’t easily hear and hope that you’ll help. Visit patreon.com/tfsr for ways to donate and thank yous we’re offering. We now have more than enough coming in to cover our web syndication for our podcast, which is a great start and a great alleviation off our pocketbooks. Want to donate but can’t make a regular donation? Visit thefinalstrawradio.noblogs.org/donate/ for a few other ways to send us money. Want some of the swag up at patreon.com but can’t make a regular donation? We can work something out, just get ahold of us. Thanks so much to Zuki, Olivia, scott, Jackie, Tiger & Chris for signing up! This week’s show features an interview with Abrasha Blum and Ruth, who work with Anarchists Against The Wall. AATW is a coalition of Israeli Anarchists doing solidarity work alongside Palestinians struggling against the aparthied wall and system in and around the West Bank. As the 45th anniversary of the 1967 Arab-Israeli War approaches (June 5th-10th), we talk about Zionism, the Settlers, solidarity and how folks can support the popular struggles for Palestinian autonomy and dignity. If you have the ability to help them cover legal fees, check out awalls.org and donate. 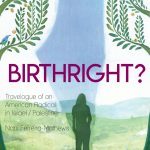 An archive of this show, as well as an extra segment on the Birthright Program and the Boycott, Divestment & Sanctions (BDS) movement can soon be found on www.archive.org by searching the show title. http://www.bdsmovement.net/ – In 2005, Palestinian civil society issued a call for a campaign of boycotts, divestment and sanctions (BDS) against Israel until it complies with international law and Palestinian rights. A truly global movement against Israeli Apartheid is rapidly emerging in response to this call.